Putting an end once and for all to the negative connotations of high-glam makeup. It’s fundamentally strange to me that people associate high glamour and heavier makeup looks with self-esteem issues. Perhaps before the epidemic of social media and Kim Kardashian people often thought those serving bold shadows on the eyes were also those hiding what they looked like when bare-faced? However, does this socially-formed correlation between daring makeovers and low self-image not itself create another form of negative pressure on both males and females who love to express their artistic visions using beauty products – portraying them as nothing but an individual lacking in confidence and self-assurance? I believe bold makeup has the ability to do quite the opposite. Although maybe holding some internal issues about personal appearance, the bravery of makeup artists across the globe to continuously work in such a competitive market is extraordinary. For some, makeup is definitely a confidence booster. For me personally, I feel liberated by makeup. Wearing it makes such a difference in my character. I walk around with my head held higher and courage increased. But this is not a result of deprecatory thoughts about my own natural face – it’s because I feel like I look good with the paint I’ve put on my face. Being able to form and execute inventive combinations of products, and showcase these wandering in what appears a highly judgmental culture, requires an already-found confidence in one’s self. I think we should flip this idea that wearing more makeup is synonymous with low self-confidence and instead realise that an innate confidence is necessary to carry out a more couture, eccentric aesthetic. When it comes to my own makeup, I love to experiment with colours and the latest trends. From the latest Instagram eyebrow craze, to the release of a new Anastasia Beverly Hills palette, I am all over that. I buy into this market because the people behind it work incredibly hard to bring their customers the best of the best. Even the more expensive brands are becoming mainstream and this is due, in part, to the fact that people are finally understanding the worth of makeup products and the creativity they allow. 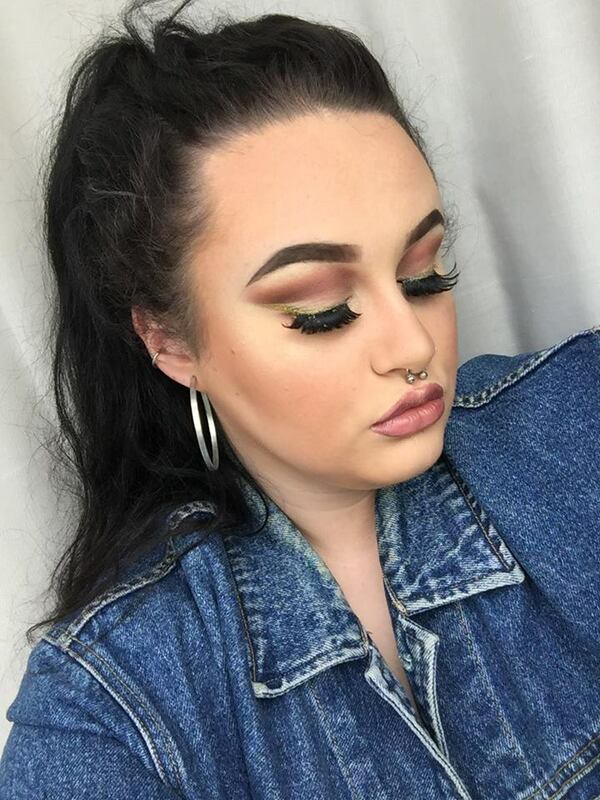 With our generation’s absorption in the internet, MUA’s now have a huge platform to share the most up-and-coming styles to a large audience. Business professionals have the ability to post detailed images and ‘how-to’ video tutorials, giving endless accessibility for amateurs and the make-up obsessed to re-create, get inspired, and feel accepted amongst a community of others who love what they do. In every direction you look, couture content is becoming increasingly prevalent across social media platforms, bombarding our screens with people who have built their careers around blogging their makeup talents. MUA’s are becoming household names to us as a generation, and the beauty industry is bigger than ever. Jamie Genevieve, P Louise, NikkieTutorials, and James Charles are just a few, amongst many others, who are leading a lifestyle not founded upon their lack of self-esteem, but on the true awe that they inspire in their viewers through their carefully honed skills and original looks. In this way, does it not seem bitter on behalf of the full-face-of-makeup critic, to assume we invest in beautification for some ‘misplaced confidence’? To all those who spend hundreds of pounds a year on Beauty Bay, spending hours a week tweaking their contour and blush, I salute you. High-glam is not about edited photos and fake poise; it is a reflection of one’s dedication to artistic experimentation. It is to model how we feel on the inside – our mood, personality traits, our characters, in a visual manner. Extreme makeup should be just as validated as the unconventional panaches we see echoed throughout fashion catwalks and in high-end hair salons. The practice of makeup is a true art form in itself, allowing all walks of life to express themselves in ways that they may be impossible via other creative domains. Makeup should not be seen as a symbol for personal vulnerability or deficiency in attractiveness. Less is more? I don’t think so.